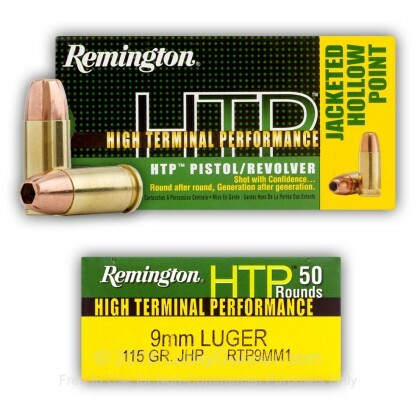 Remington 9mm HTP gives you the confidence and instant-stopping power you need for when it matters most! 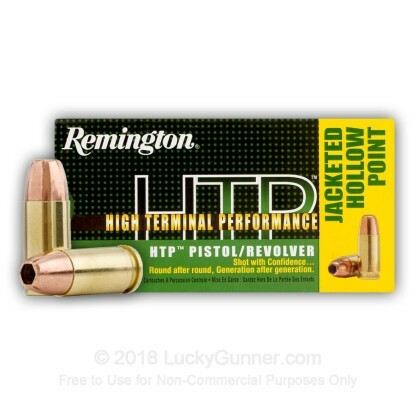 This Remington High Terminal Performance (HTP) ammo is crafted of premium primers, brass cases and a lethal hollow point projectile. 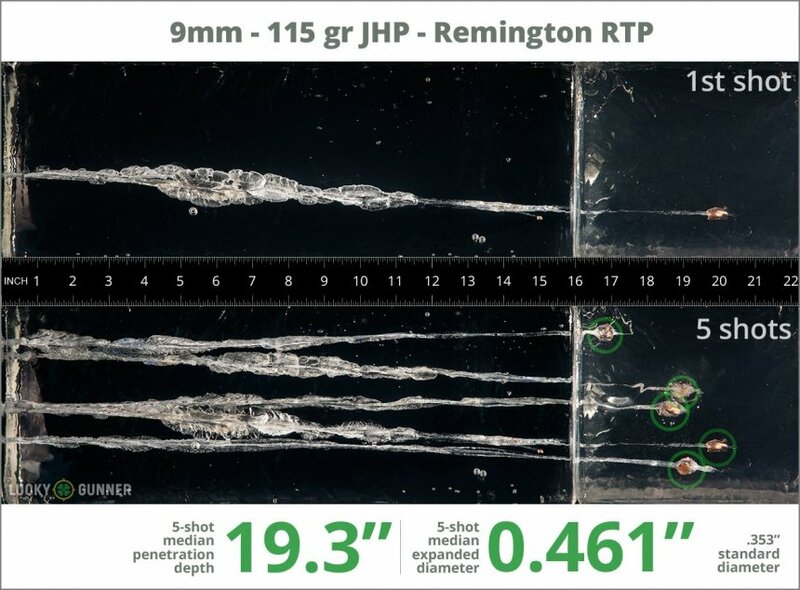 As part of our ongoing self-defense ammo testing project, we used Clear Ballistics synthetic gelatin to evaluate the performance of Remington 115 Grain. 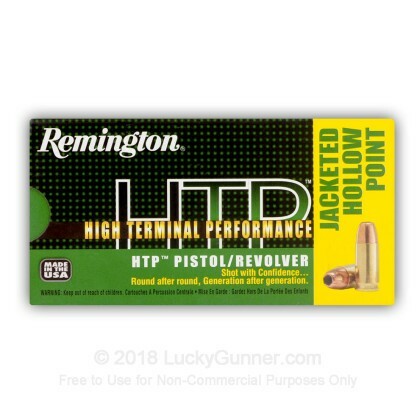 Five rounds were fired from a Smith & Wesson M&P9C into the gel with a four-layer cloth barrier to simulate an attacker wearing heavy clothing. 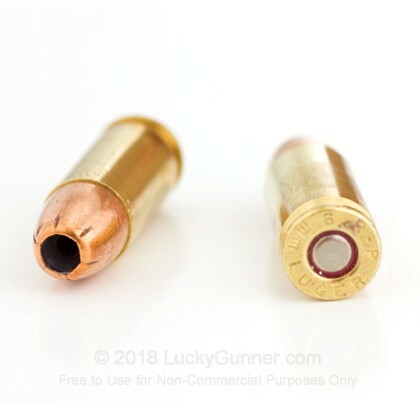 The top image in the photo above shows the first round fired into the gel and the bottom photo displays all five rounds. 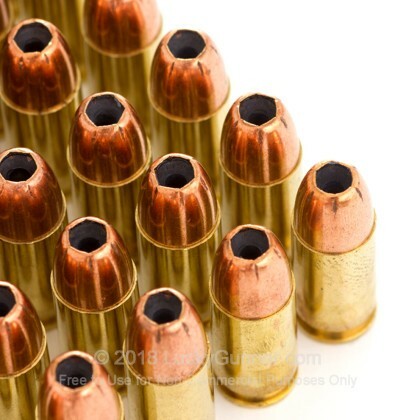 Below on the left, you can see what the bullets look like after they were recovered from the gel. 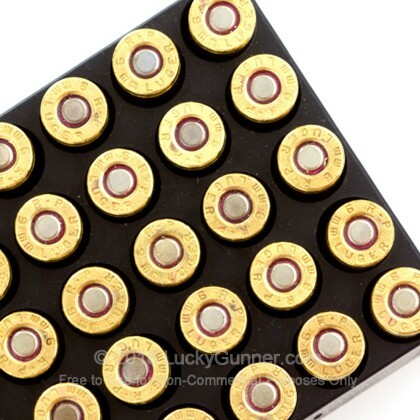 To the right of that, you’ll find a high-speed video of the first round fired into the gel. 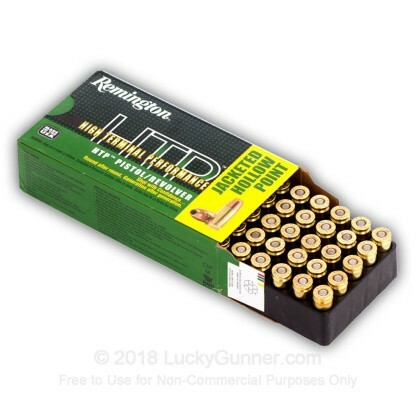 At the bottom of the page, we’ve got a chart with all the data from our Remington 115 Grain test along with a couple of charts that show how this load compared to other 9mm Luger (9x19) loads. 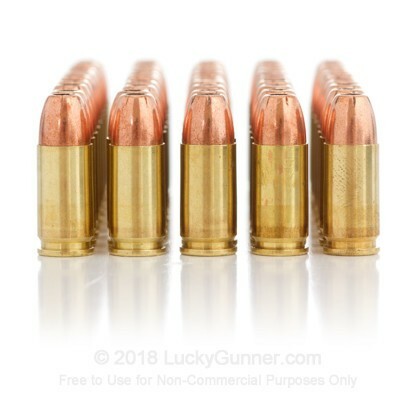 For test results from more than 150 other self-defense loads, check out the full article on Lucky Gunner Labs. 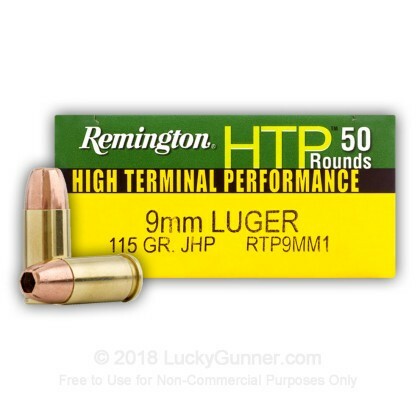 How do the results for this Remington 9mm Luger (9x19) compare to other 9mm Ammo? 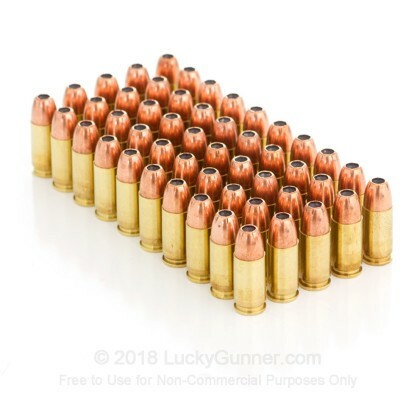 0.90" This ammo: 0.46" Min: 0.32" Median: 0.50" Max: 0.90"
19.3" 0" 5.6" 17.7" 47.5" This ammo: 19.3" Min: 5.6" Median: 17.7" Max: 47.5"
Excellant ammo for the price. 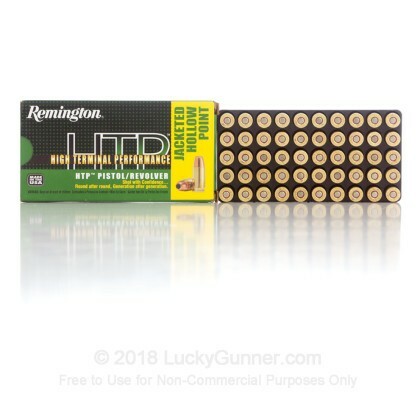 I have shot hundreds of rounds of this ammo in several different handguns, I have had excellent results. I live on a farm in the country, so I get to shoot almost everyday.